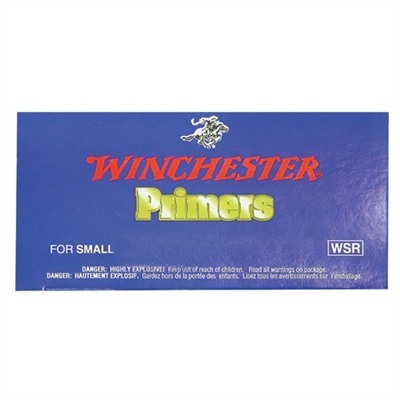 Winchester primers give instant, hot ignition and are easy to seat into primer pockets. Preferred by many hunters and competitors for their ability to maintain stability in temperature and humidity extremes. REMEMBER: There is a UPS Hazardous charge per package for powder or primers. Powder and primers may be shipped together in the same package. Powder, primers or ammunition may NOT be shipped out of the United States. SPECS: 1,000 primers per box.